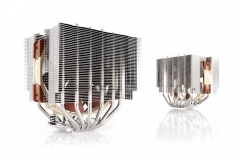 Noctua’s heavy hitter of air coolers slims down… and goes a little right of centre. 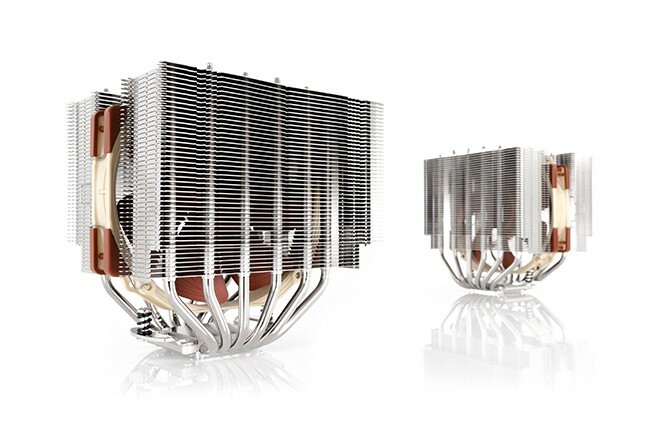 The NH-D15 is the Big Daddy of air coolers and the pinnacle of performance. 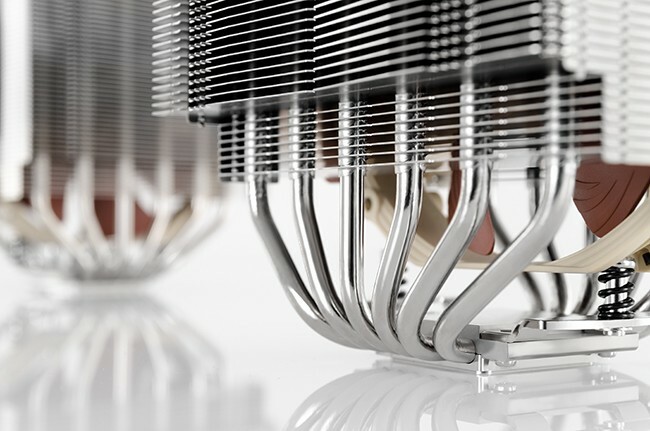 It’s generally overkill in most rigs from a performance perspective but it is damn quiet. The NH-D15 also gets a little close to the first PCI-E slot which can cause issues on some motherboards and for some graphics cards with meaty back-plates. 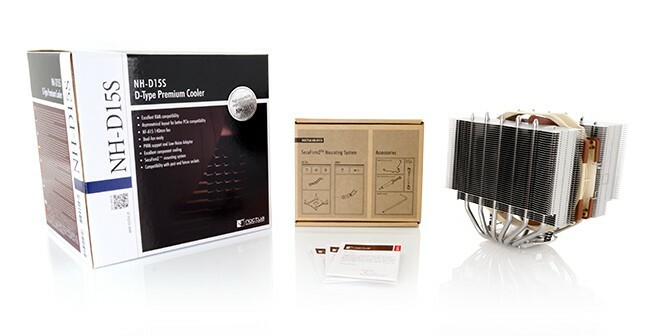 Noctua has added the NH-D15S to their line-up, a single fan and slightly offset version of the aforementioned beast that is the dual fan NH-D15. 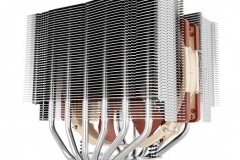 Usually a CPU tower style cooler is symmetrical, in that the CPU contact plate is dead centre of the overall cooler. 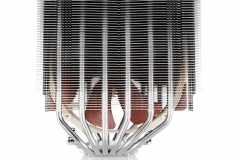 Noctua has made a slight adjustment to the NH-D15 cooler in that it’s asymmetrical which means that the D15S doesn’t get as close to that PCI-E slot as the NH-D15. 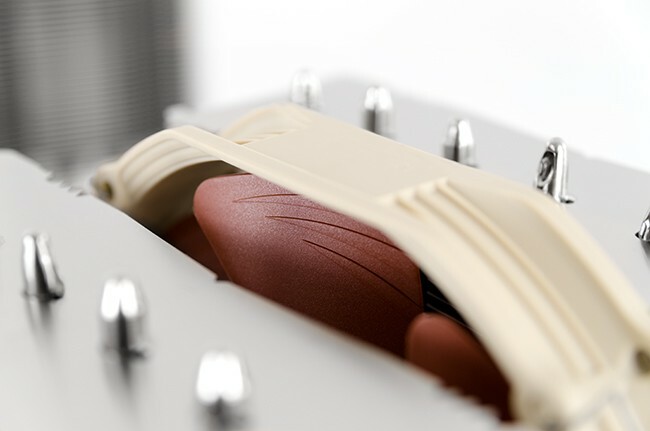 We use the NH-D15 on our test bench – not because of the cooling performance but because it has the lowest noise profile of any cooler we’ve tested. This is important when testing hard drives or graphics cards because we want to have the rest of the setup as silent as possible to isolate the component being tested. The thing is… it’s HUGE and as we found when testing the NH-D15, having 2 fans was actually overkill unless you are pushing some crazy volts. 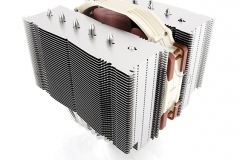 Whilst I didn’t see the need to tweak the NH-D15 at the time of review, Noctua has made a very sensible decision with the NH-D15S in further increasing the compatibility of its flagship cooler. 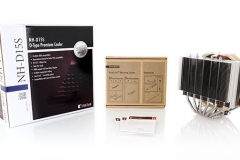 The benefits are that it takes up less space, makes the package even more compatible with tall RAM modules and motherboards. 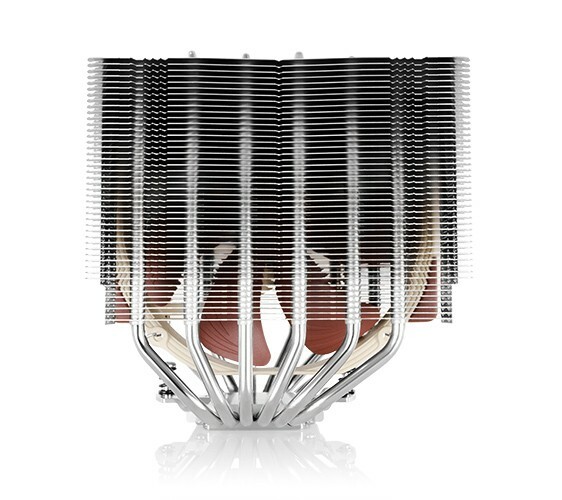 Noctua also include a Low Noise Adapter to restrict the fan speed to 1200rpm but the included A-15 is so quiet this will only be needed by a minority. Our testing shows the difference in thermal performance on a HASWELL-E test bench in stock and overclocked configurations but it’s a good trade-off – we’ll get to that shortly. 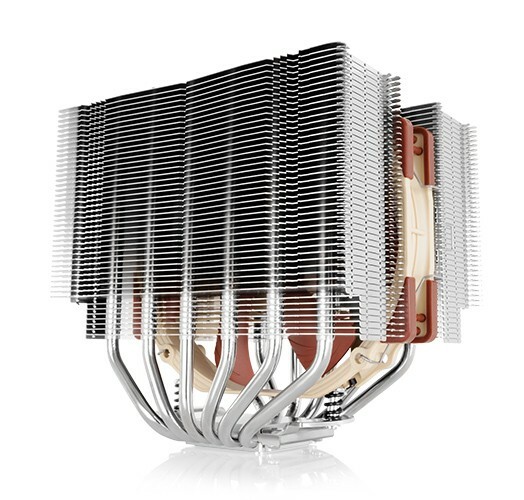 The heatsink itself has 6 heat-pipes, aluminium fins in dual stacks and a nickel plated copper base. The PWM fan is the latest NF-A15 model with the long list of aerodynamic features we covered in our prior review of the fan itself. 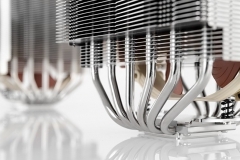 By having the fan sit low, the cooler also draws air over the RAM heat spreaders, under the heatsink as well. 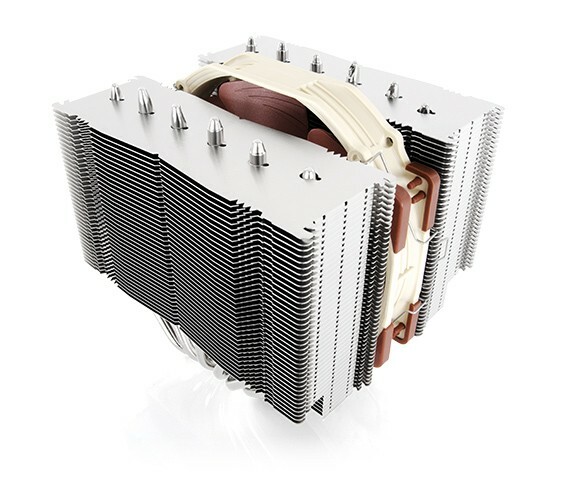 The heatsink itself as mentioned earlier is offset but essentially the same in terms of cooling potential as the NH-D15 but with increased compatibility. WIN!